In what has to be considered the biggest win of his young career, Andrew Luck and the upstart Indianapolis Colts stormed into Mile High Stadium and knocked off the defending AFC Champion Denver Broncos, 24-13. This game was billed by many as the past versus the present; a duel between the legend, and once Colts quarterback Peyton Manning, and the third-year pro who took his place. However, in the end, this game was about more than just the two superstars under center. But, rather a changing of the guard in the AFC. 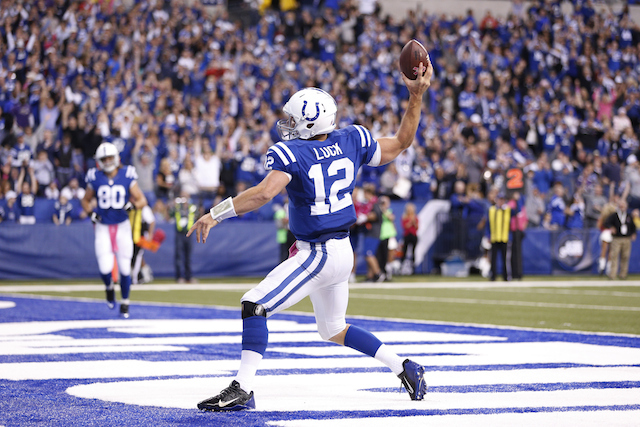 This was a monumental moment for Andrew Luck and the legacy he’s starting to build. 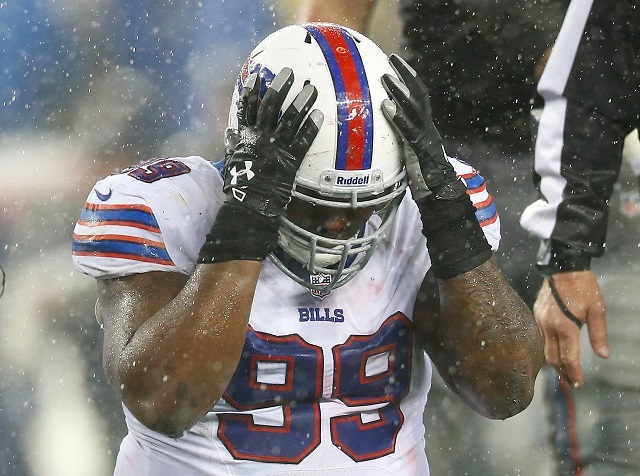 And once again, a playoff upset makes its way into the NFL history books. With that in mind, what are some of the other great playoff upsets in NFL History? Here are our top five. In 1992, during Super Bowl XXXVI, the New England Patriots faced off against the St. Louis Rams. Or, as history calls them, “The Greatest Show onTurf.” A nod to their ridiculously explosive offense that tore up opposing defenses. The Pats were not supposed to win this game. Truth is, they probably weren’t even supposed to be in this game. 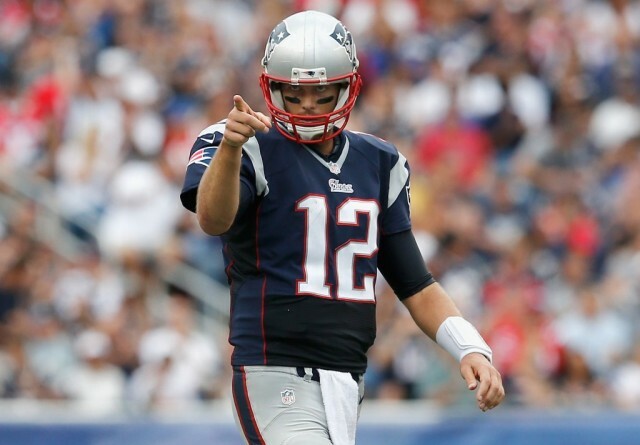 However, led by an unheralded six-round draft pick (Tom Brady), the Patriots shocked the Rams, and the world, 20-17 on a field-goal as time expired. 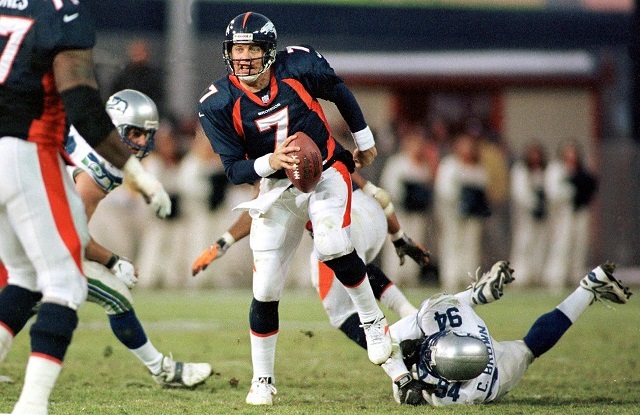 John Elway has always been a gritty quarterback and a fierce competitor. But, for most of his career, Elway tended to come up short in the big game. That was until 1998, when he launched his 37-year-old frame into the air and inspired the Broncos to victory. Super Bowl XXXII was Elway’s moment, and underdog status wasn’t going to stop him from hoisting the Lombardi Trophy for the first time. The heavily favored Green Bay Packers and Brett Favre didn’t stand a chance. In the 1990s, the Buffalo Bills would go on to lose four straight Super Bowls. And, while most of those games were blowouts, Super Bowl XXV was the exact opposite. However, it had to have been the most disheartening. With 8 seconds left, and a chance at immortality, Bills kicker Scott Norwood missed a 47-yard kick that would’ve won the game. That play would haunt Bills fans for eternity, but it sealed a Giants upset on the biggest stage. In the 1998 NFC Championship game, Brett Favre and the dynamic 15-1 Vikings were supposed to roll all over the Atlanta Falcons on their way to the Super Bowl. However, the Falcons had other plans. They held strong against the Vikings prolific offense, and forced overtime. 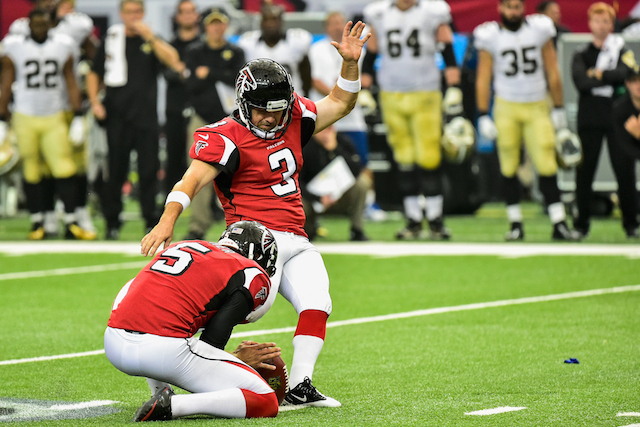 It was there that veteran Morten Anderson kicked Atlanta past Minnesota, 30-27. Super Bowl XLII was supposed to cap off the greatest season in NFL history. The New England Patriots rolled into the game with an 18-0 record, and this showdown with the New York Giants was supposed to be merely a formality. Except, no one told Eli Manning, David Tyree (or his head). The New York Giants out-muscled the Pats, and made the necessary plays down the stretch. The 17-14 upset loss to the Giants would end up being the “hardest loss” of Tom Brady‘s illustrious career.